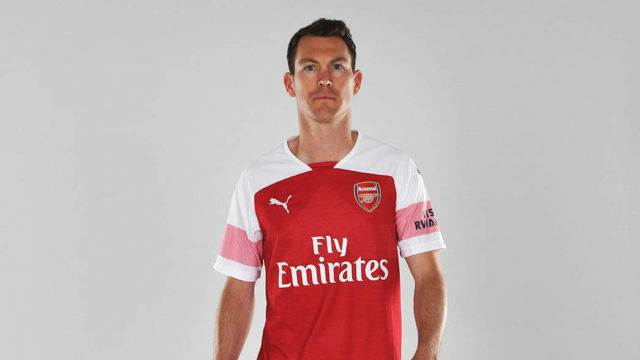 Arsenal have signed Switzerland defender Stephan Lichtsteiner from Juventus. The Swiss International defender joins Arsenal on a free transfer after his Juventus contract expired. He will wear the No 12 shirt at his new club. “It’s a great moment. It’s great for me after Juventus to come to Arsenal and have this big challenge to make big things [happen] with this big club,” the 34-year-old player told the club website. This is Emery’s first signing as Gunners head coach since he took over from Arsene Wenger at the end of the 2017-18 campaign. Stephan made over 250 appearances for Juventus and is the fourth-most capped player in Switzerland history with 99 appearances. He has also been the Swiss captain since 2016. He started his senior career in 2001 with Swiss club Grasshopper Zurich, where he won the league title in 2003. He played in France with Lille for three years before moving to Lazio in Italy in 2008, where he won the Coppa Italia and the Supercoppa Italiana before moving to Juventus in 2011.